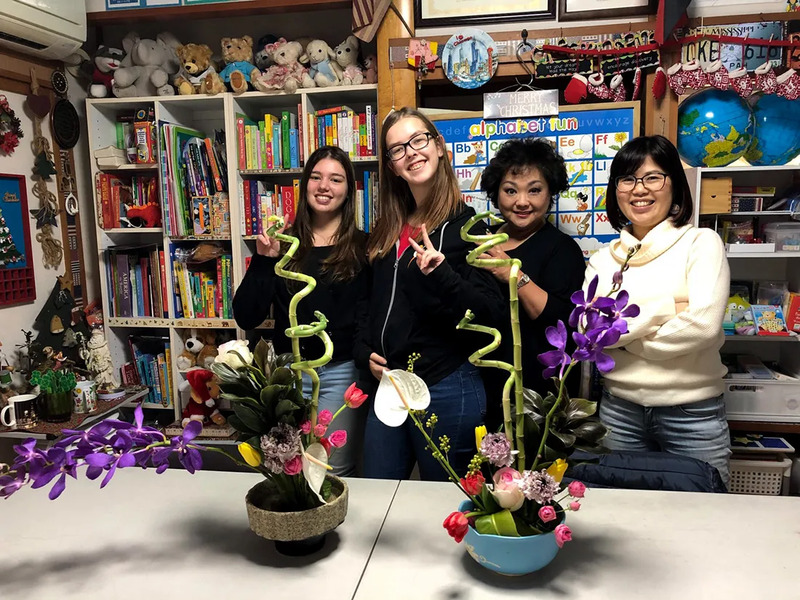 Mid term orientation for Fabi(Austria) and Anne Roording( the Netherlands). 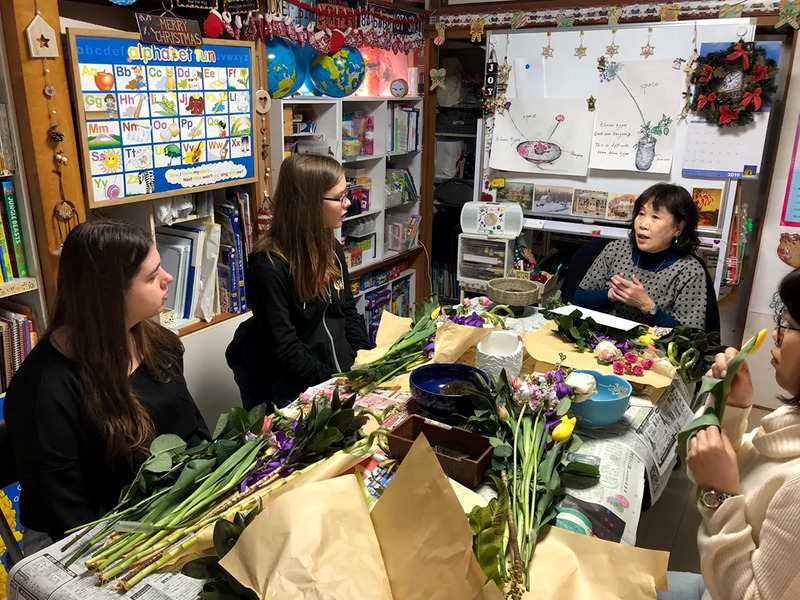 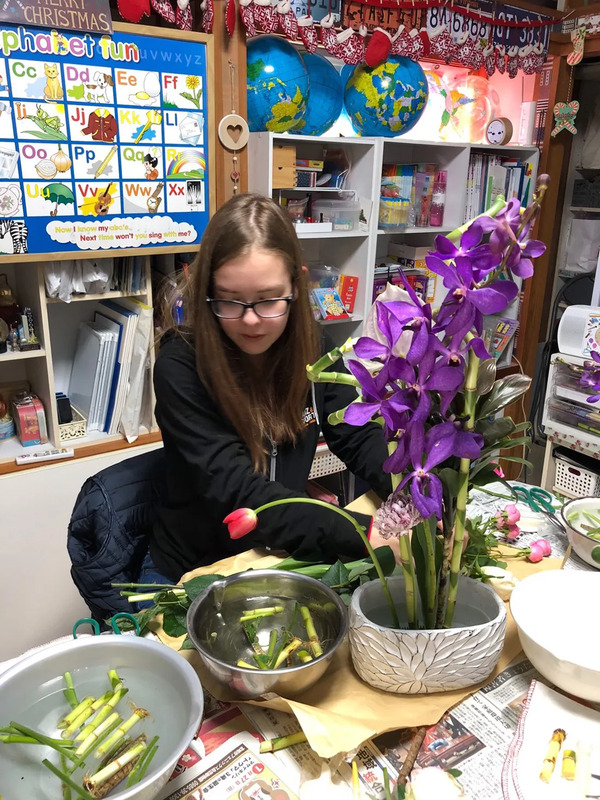 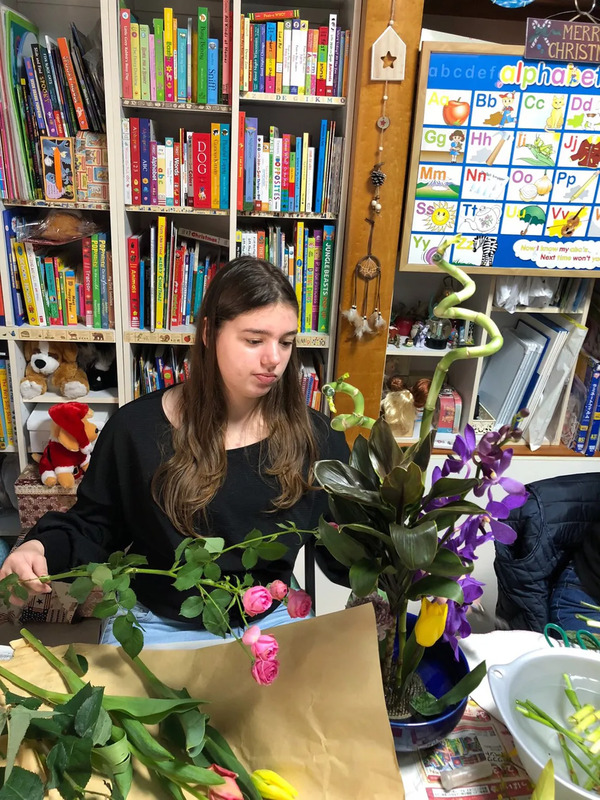 Serious discussion in the morning→Relaxing lunch break→Ikebana(Japanese flower arranging)lesson by an Ikebana teacher, Mrs. Seiko Miyoshi, one of our chapter member. 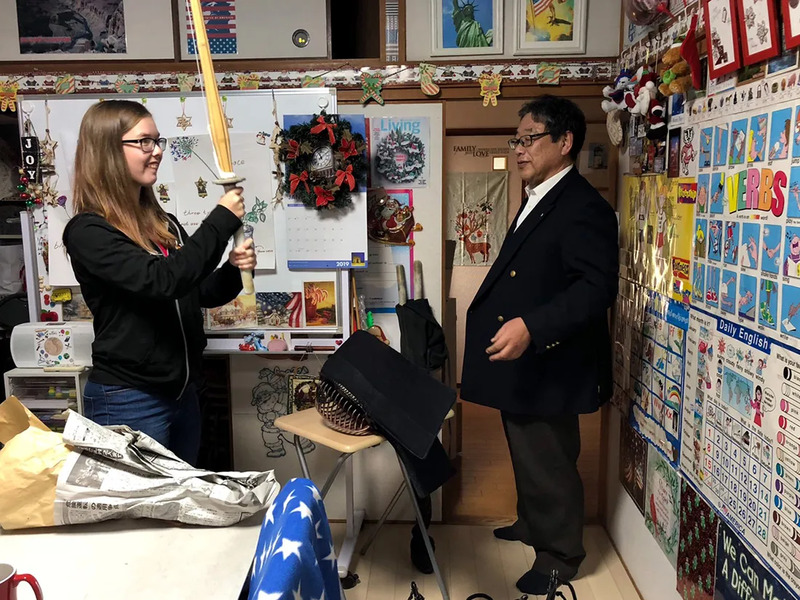 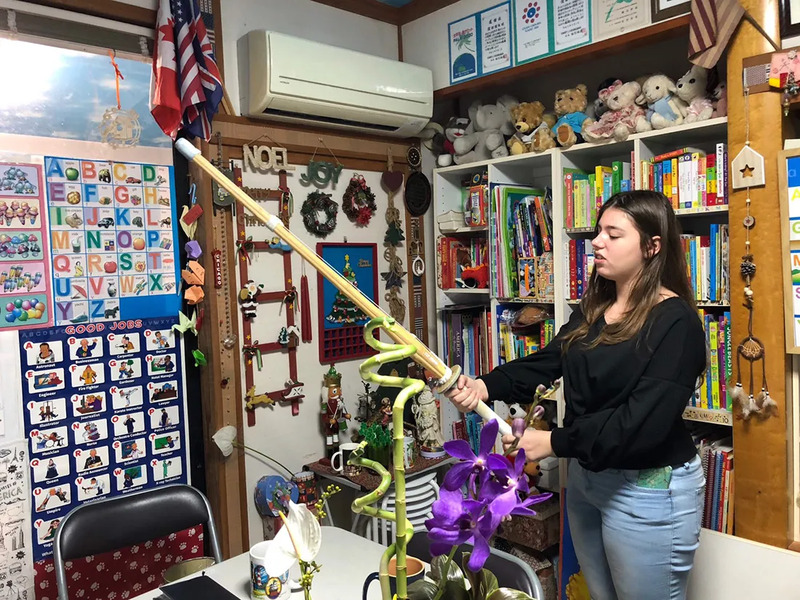 Our chapter president, Kendo teacher, showed girls it’s bamboo sword!